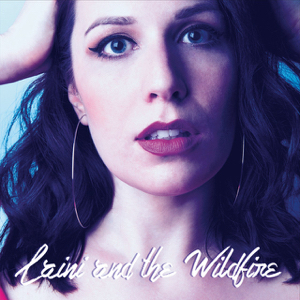 Listening to this New Haven, CT piano-fronted trio’s debut album (it follows up a 2016 self-titled EP), it’s hard to fathom that their powerful-piped lead singer Laini Marenick had never sung in front of anyone until her wedding three years ago. In fact, before deciding to pursue music full-time and forming the band (which also includes her bassist hubby Mark and drummer pal Rob Siraco, both from Tragically Said) in 2015, she’d been working for seven years in a stressful job as a children’s emotional and behavioral therapist. The group’s bio compares her sturdy, soaring croon to Adele, and that’s no stretch; you can almost envision the award-winning, mega-selling Brit belting out some of Wandering’s rousing, radio-friendly ballads, like the gloomy “Goodnight is Not Goodbye” or the stormy “Sunday.” But Marenick also adds ample amounts of ‘60s R&B and soul, as on the tantalizing opening title track, wrapping her vivacious voice around her words like Amy Winehouse (whose own 2007 U.K. #8 “Back to Black” the band covered on a 2017 single).